Hi everyone, I’m Kyle Cramer, Technology Development Manager at Evia Learning. I am starting a new blog series to keep you informed about recent and upcoming changes to EviaLearning.com. In this post, I will talk about some recent changes made over the holiday break and then let you know about updates we are working on for the summer. Please keep in mind that when I talk about future updates, I will be as accurate as possible, but there may be changes to the update between now and final rollout. A common activity we use when students listen to native speaker audio is putting scrambled sentence fragments in the correct order. Over the fall, this type of interaction drew an outsized number of bug reports. After speaking with students, we realized that these activities themselves were not broken, but that the post-activity interface confused a lot of people. After submitting an incorrect response, students can click a button to see the correct answers with a red highlight around the responses they had incorrect. 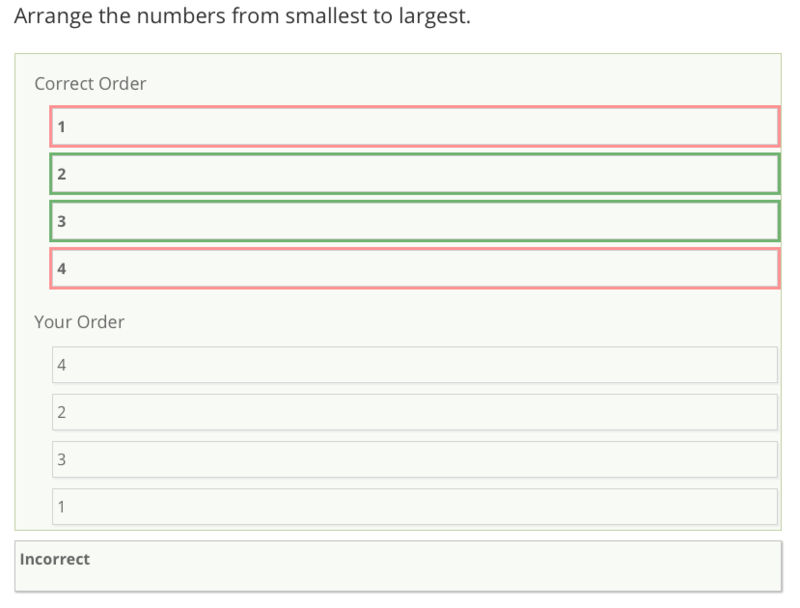 However, many users thought they were seeing the answers they had just submitted with the incorrect responses in red. So, when they would try the activity again, those students would consciously avoid submitting the answers in the order they had just seen — which happened to be the correct order. Since each subsequent response displayed the same thing afterwards, those students assumed the website was failing to record their new responses. To avoid this kind of confusion in the future, we have changed what students see after submitting their response. They now see two pieces of information: first they see the correct ordering of the phrases, directly below that, they see what their responses were. This should help students understand any mistakes better and improve their learning experience. One of the more noticeable changes in our holiday update is the removal of the completion bar from the Dashboard page. Previously, each theme had a bar that worked from 0% to 100% complete. Why did we remove it? Basically, it was not clear to everyone what it actually measured, leading some students to think they would receive a better grade than they did. Some users assumed that this bar indicated how much of the overall content (ie, activities, reading, writing, listening, etc.) a student had finished in a section and how well they did that work. That meant students would expect a high final grade if most of this bar was filled, and some professors used it as a grading guide. In reality, all the bar indicated was how many pages in that theme the student had visited. They did not need to do any work on those pages to get credit in the completion bar, and quality of work had no effect on the percentage displayed. So, someone could open the first page of a theme, click “next” thirty times, and end up with almost 100% completion without doing anything in that theme at all. This led to friction when a student thought they would get a high grade but instead received a 0 for failing to complete their online homework. The completion bar was meant as a quick visual guide for students to see how much of a section they had worked through already. It was not meant as a proxy for the overall grade a student should receive for that section. In the end, we did not do a good job explaining that. Rather than leave a confusing feature online, we decided to remove the completion bar now and aim to integrate more useful completion metrics in a future grading update. Did you know there is a “Resume” button on the learner dashboard? It’s at the top of the page, right under your name! It came to our attention that the design of the button did not draw the eye, so we updated the color scheme to make it more prominent. Hopefully that makes it pop out a little more! For those of you who use the PDF transcript for grading, we realized that some of the phrasing on the PDF was not very clear. When a student had not done an activity, the PDF used to say “Not Complete.” Of course this could be interpreted to mean that a student had started but not finished an activity, which was not the case. This only appeared in cases when a student had not touched an activity at all. Now when a student has not started an activity, it will show on the PDF as “Not attempted.” Again, just a little thing we hope will take some of the guesswork out of things! I am excited to let you know that we have at least one major change in the works for Fall 2018, which will focus on the Progress Report interface! Since launch, this is the part of the website that users want to see updated the most. We are planning to make it much easier to view student data in different ways without as much clicking. We also want to make it easier to get an overall idea of how your entire class is doing at a glance instead of always looking at one student at a time. More details will come in our next posting! Alongside interface changes in the Progress Reports, you will also see the number of reported activities increase. Right now, a select number of the activities that students work on show in the progress report and on the PDF transcripts. Based on user feedback, the number of reported activities will increase for the fall. It is my goal to keep you updated about changes to the website throughout our development process so that you are not taken off guard by an update and so that we can gather feedback while we shape the future direction of EviaLearning.com. If you would like to offer your thoughts on the current user experience or any of our future plans, please feel free to contact me through email at support@evialearning.com.